A fundamental understanding of accounting principles is critical to creating any meaningful financial analysis. Before diving into a complicated analysis of mergers and acquisitionsMergers Acquisitions M&A ProcessThis guide takes you through all the steps in the M&A process. Learn how mergers and acquisitions and deals are completed. In this guide, we'll outline the acquisition process from start to finish, the various types of acquirers (strategic vs. financial buys), the importance of synergies, and transaction costs, a weak foundation in accounting will undoubtedly lead to failure. 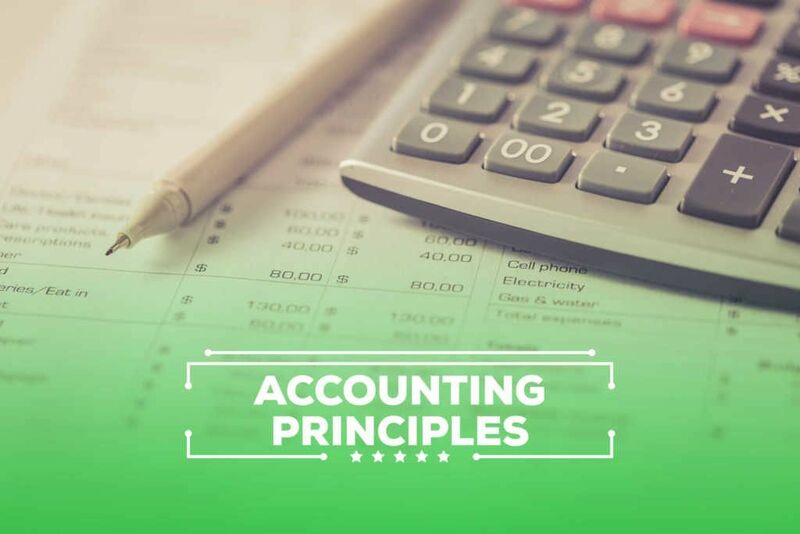 We build from the beginning and try to summarize and explain accounting principles in simple terms. Therefore, we begin with an explanation of the three accounting statements: balance sheetBalance SheetThe balance sheet is one of the three fundamental financial statements. These statements are key to both financial modeling and accounting. The balance sheet displays the company’s total assets, and how these assets are financed, through either debt or equity. Assets = Liabilities + Equity, income statementIncome StatementThe Income Statement (or Statement of Profit and Loss) shows performance from operations of a business. The financial statement begins with revenues and, and cash flow statementCash Flow Statement​A Cash Flow Statement (officially called the Statement of Cash Flows) contains information on how much cash a company has generated and used during a given period. It contains 3 sections: cash from operations, cash from investing and cash from financing..
A liabilityTypes of LiabilitiesThere are three types of liabilities: current, non-current, and contingent liabilities. Liabilities are legal obligations or debt owed to another person or company. In other words, liabilities are future sacrifices of economic benefits that an entity is required to make to other entities as a result of past events or is a present obligation that a company owes. Assets and company operations are funded by accumulating liabilities. In a sense, liabilities represent future outflows of company property to meet present obligations (deferred taxes, potential lawsuits, payables, etc.). There is sufficient evidence of existence. The monetary amount can be measured with sufficient reliability. If there is uncertainty by a business to obtain a future asset or liability, it is not recognized in financial reporting. Income is the benefit that a company earns as a vendor of its goods or services. An enterprise is compensated for its goods or services through income (sales revenueSales RevenueSales revenue is the starting point of the income statement. Sales or revenue is the money earned from the company providing its goods or services, income). Income also arises when there is an increase in future economic benefits related to an increase in an asset or a decrease of a liability (this can occur when an equity investment by a firm rises by $100, this $100 is recognized as income). ExpensesAccrued ExpensesAccrued expenses are expenses that are recognized even though cash has not been paid. These expenses are usually paired up against revenue via the the matching principle from GAAP (generally accepted accounting principles). For those who are unaware of the matching principle are costs that an enterprise incurs in the process of conducting business. Directly traceable costs during production (cost of goods sold) and those not directly traceable (Selling, General, and Administrative) are common expenses. Expenses also arise when there is a decrease in future economic benefits related to a decrease in an asset or an increase of a liability (this can occur when an equity investment by a firm falls by $100, this $100 is recognized as an expense). The cash flow statementCash Flow Statement​A Cash Flow Statement (officially called the Statement of Cash Flows) contains information on how much cash a company has generated and used during a given period. It contains 3 sections: cash from operations, cash from investing and cash from financing. maintains a record of a company’s cash inflows and outflows in a given accounting period. This statement breaks up cash movement into operating, investing, and financing activities. The sum of liabilities and equity must always equal the assets as this is the fundamental accounting equation (Assets = Liabilities + Equity). The equality means that the assets a company uses in the process of operations are funded through obligations of liabilities (e.g., issuing bonds) and by the residual interest of equity (e.g., issuing stocks). Whatever happens to the company will create two equal and opposite effects on its financial statements, maintaining this equality. Cost of sales (expense) ↑6. Balance sheet assets increase by 4, which matches the ↑4 in retained earnings. The differences between the presentation of financial statements are considerable when switching between International Financial Reporting Standards (IFRSIFRS StandardsIFRS standards are International Financial Reporting Standards (IFRS) that consist of a set of accounting rules that determine how transactions and other accounting events are required to be reported in financial statements. They are designed to maintain credibility and transparency in the financial world) and Generally Accepted Accounting Principles (US GAAP). Therefore, many of the differences in reporting will be highlighted throughout these articles. Non-recurring items are business practices that are highly exceptional and are not expected to occur on a routine basis. Actions such as the sale of a company are considered non-recurring items. IFRS requires that non-recurring items should be presented separately in the income statement before operating profit (or EBITEBIT GuideEBIT stands for Earnings Before Interest and Taxes and is one of the last subtotals in the income statement before net income. EBIT is also sometimes referred to as operating income and is called this because it's found by deducting all operating expenses (production and non-production costs) from sales revenue.). US GAAP requires that non-recurring items be presented net of taxes in a separate section of the income statement before operating profit (or EBIT). Discontinued operations are business operations, segments, or product lines that are sold or abandoned. An example of discontinued operations would be an athletics apparel company discontinuing their line of children’s clothing. Accounting rules require that the results of these operations be presented separately on the face of the income statement. The balance sheet must also show separately the amounts relating to assets and associated liabilities held for sale at the balance sheet date. Three Financial StatementsThree Financial StatementsThe three financial statements are the income statement, the balance sheet, and the statement of cash flows. These three core statements are intricately linked to each other and this guide will explain how they all fit together. By following the steps below you'll be able to connect the three statements on your own.